There is more than one way to bring down an opposing Fighter, as 1st Lt. Don Lopez learned on December 12th, 1943. He and his comrades of the 75th Fighter Squadron were at 6,000 feet over South Central China when he was attacked by a Japanese Oscar. 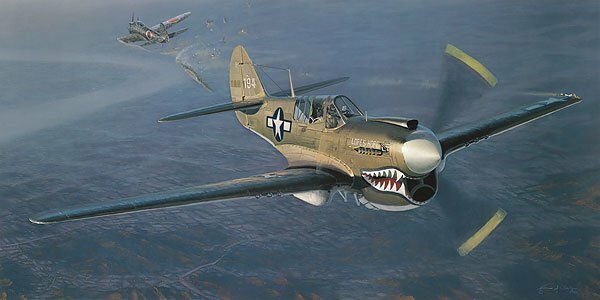 Don faced him off - and thought he would turn away - he did not until the very last moment - and Don's P-40 hit him head on. Don lost 3 ft of his wing - but the Oscar went down.